East Wind boasts a perfect culmination of picturesque views with the modern flair of a newly renovated, visually appealing building. Our small-town approach to life ensures you’ll be sharing stories, news and smiles throughout the day with your neighbors. Amenities include socializing with friends in the party room, select a book from the community library or relax in the heated pool. East Wind is located in Ponce Inlet, FL which is known for housing the tallest lighthouse in Florida featuring 175 ft with 203 steps. Surroundings include the natural beauty of Disappearing Island and the Marine Science Center. Board walks to Lighthouse Point Park are perfect for exploring, jogging or walking. 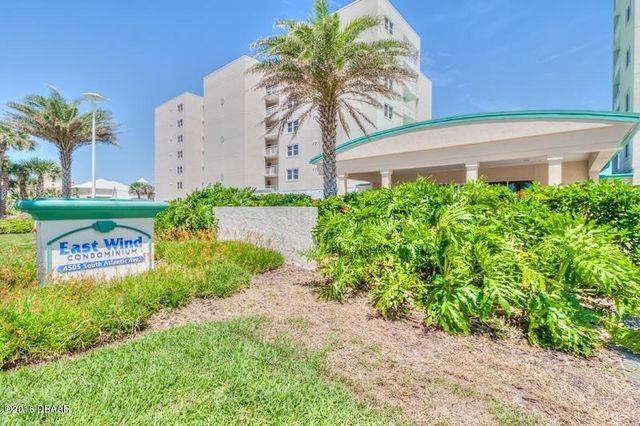 We are conveniently located just miles south of Daytona Beach which is best known for the Daytona 500 Speedway and for the Worlds Most Famous Beach. We hope you’ll consider visiting!